The face of the Audi A4 looks very similar to the Audi A5 while the rear picks up cues from the new Audi A6. The face of the new Audi A4 looks inspired from the A5 Sportback. There rear of the Audi A4 looks quite similar to the new A6. It is likely to be launched in second-half of 2020. The current-generation Audi A4 has been around for quite sometime and an update had a long way coming. Audi seems to have realized that too and have started working on a facelift of the A4. 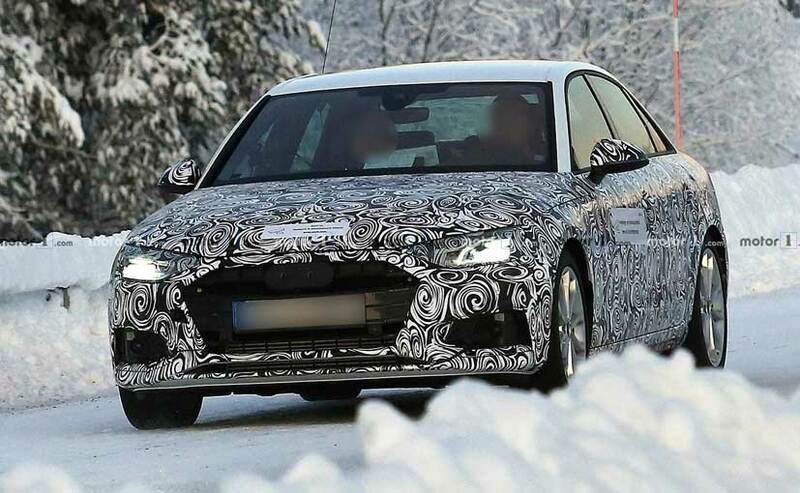 The upcoming Audi A4 facelift has been spotted going under testing wearing heavy camouflage. Though most of the body panels have been concealed under the wraps, changes made to its face and tail are quite apparent. 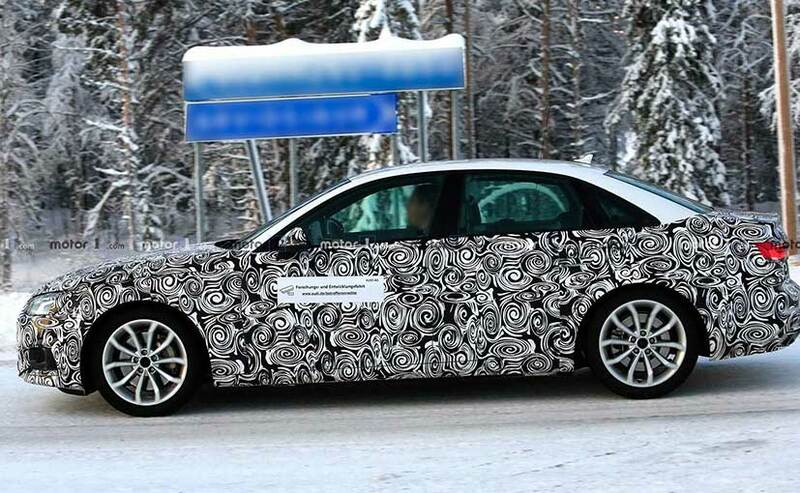 The side of the Audi A4 is well-hidden and the new alloy wheels are only apparent. The facade of the A4 for most of its part looks similar to the A5 sporting the identical grille and quite similar bumper profile. The design of the headlamp too is familiar, however, the hood has different profiling. We also expect the grille to come with a different chrome treatment on the production version. The camouflage does the job well at the side of the A4, keeping the changes well-hidden and we can only notice the new design of the alloy wheels. The rear of the A4 too is predominantly undercover. 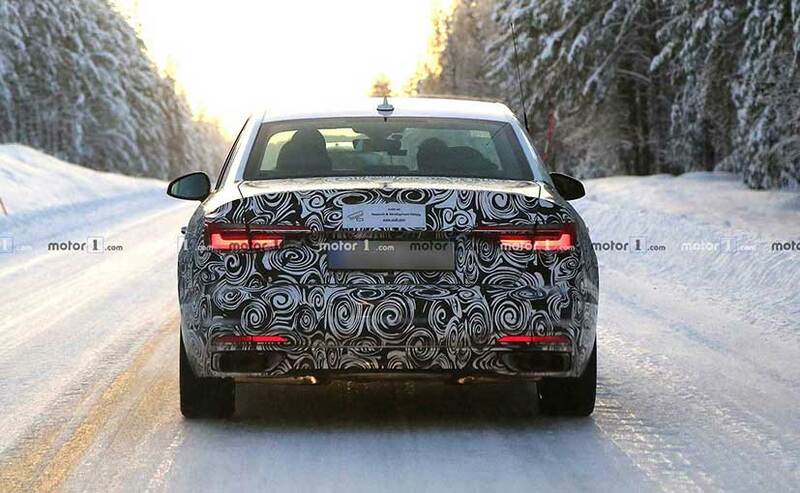 However, the design looks slightly related to the new A6, specially with the way the taillamps are done and more so with the design of the rectangular exhaust pipes. The rear design of the A4 looks quite similar to the new Audi A6. Since it's likely to be a facelift, we don't expect any change in the powertrains apart from them being BS 6 compliant. The Audi A4 is offered in India with a 1.4-litre TFSI petrol motor and a 2,0-litre TDI diesel motor and both the engines are mated to a seven-speed dual-clutch gearbox. The heavily camouflaged test-mule also suggests that the A4 is still under early rounds of testing. Hence we expect it to be launched in the second half of 2020.